When I encounter a code P0457, it means that the powertrain control module (PCM) has detected a malfunction in the evaporative emissions (EVAP) system. 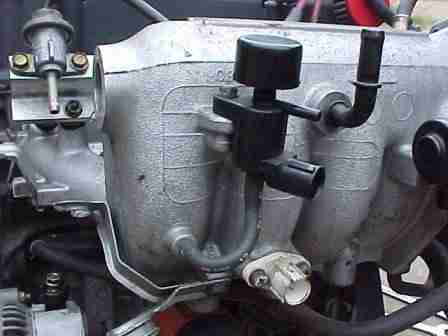 The malfunction is due to a small leak and is typically associated with a defective, loose, or missing fuel cap. The EVAP system is designed to capture fuel vapors (from the fuel tank) before they escape into the atmosphere. It utilizes a closed reservoir to store excessive vapors until the engine is prepared to burn them. Excessive fuel vapors are discharged to the reservoir (usually called a canister), through a specially designed valve and a network of metal tubes and rubber hoses. The pressure that is developed (when fuel is stored) acts a propellant, causing the vapors to vent through the tubes and eventually into the canister. A charcoal element is contained in the canister. It absorbs fuel vapors and holds them for release at the appropriate time. Major components of the EVAP system include: the charcoal canister, the EVAP pressure sensor, the purge valve/solenoid, the vent control valve/solenoid, and a complex system of metal tubes and rubber hoses that stretches from the fuel tank to the engine compartment. The EVAP system uses engine vacuum to draw fuel vapors into the intake manifold where they can be burned as opposed to being released into the atmosphere. The purge control valve/solenoid is electronically controlled by the PCM. It regulates intake vacuum to the EVAP canister so that fuel vapors are drawn into the engine only when conditions are ideal for the vapors to be burned most efficiently. The vent control valve/solenoid is also controlled by the PCM. 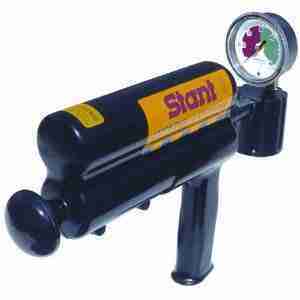 It allows excessive pressure to be released from the EVAP system and fuel tank. When pressure reaches a certain level, the PCM commands the vent control solenoid to open the valve and the excessive pressure is released into the atmosphere. The EVAP pressure sensor allows the PC to monitor EVAP system/fuel tank pressure. If EVAP and/or fuel tank pressure remains too low over a set period of time, and under certain circumstances, a code P0457 will be stored and the malfunction indicator lamp (MIL) may be illuminated. Since this code specifies a small EVAP system leak, there is likely to be some pressure in the system. If there is no pressure in the system, a large EVAP leak code will likely be exhibited. What are the common causes of code P0457 ? What are the symptoms of code P0457 ? How do you troubleshoot code P0457 ? I would normally use a diagnostic scanner, a digital volt/ohmmeter, All Data DIY, and possibly a smoke machine to diagnose this code. Begin with a visual inspection of EVAP system hoses and lines. Pay close attention to lines that are routed near sharp edges or hot exhaust components. Repair or replace burnt, collapsed, cracked, or broken hoses as required. 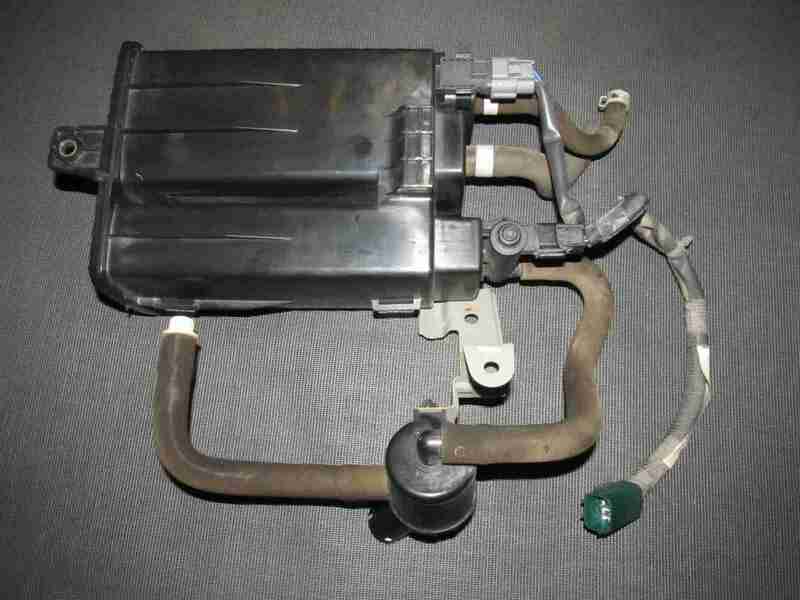 Inspect EVAP system wiring and connectors, load test the battery, check battery terminals and ends, and check the output of the alternator, as well. Remove the fuel cap and inspect the seal. Reinstall the fuel cap properly. Locate the diagnostic port of your vehicle and connect the scanner to it. Retrieve all stored codes and freeze frame data and write the information down. This may prove to be very helpful if this turns out to be an intermittent code. Intermittent codes can be much more difficult to diagnose than hard codes. Keep in mind that EVAP codes may require multiple drive cycles before they reset. The safest method of ensuring that you have rectified the problem and the code will not be stored again is to allow the OBD-II system to complete all self tests and enter readiness mode. In readiness mode, your OBD-II equipped vehicle is also ready to undergo federally mandated emission testing. Since fuel cap failure is fairly common when a code P0457 code is stored, I have invested in a fuel cap tester. Emissions testing stations are required to have one and most will test your fuel cap, free of charge. If no tester is available, and there are no other obvious leaks detected, I would replace the fuel cap. Fuel caps are relatively inexpensive (so I don’t usually purchase the cheapest one – mid-grade is best) and buying a new one may save you some stress in diagnosis. Use the diagnostic stream of the scanner to observe EVAP (or fuel tank on some models) pressure. If system pressure is within manufacturer’s recommended specifications (MRS), suspect an intermittent condition or that you have rectified the problem by tightening/replacing the fuel cap. If system pressure is not within MRS, you may want to test the EVAP pressure sensor before performing a smoke test. 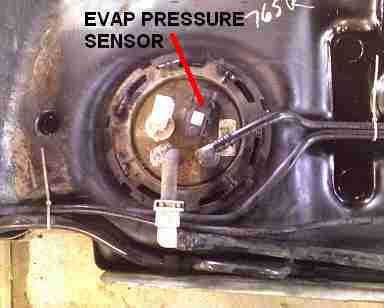 Unfortunately, the EVAP pressure sensor is normally located atop the fuel storage tank. After you gain access to the sensor, follow MRS for testing. Replace the sensor if it fails to comply. If the sensor is good, EVAP pressure is within MRS, and the scanner data display reflects such, suspect a defective PCM or a PCM programing error. 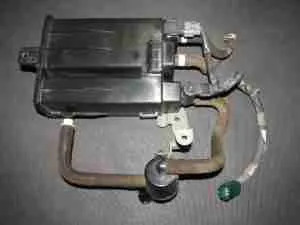 If the EVAP pressure sensor is within MRS, disconnect the EVAP system hoses from the EVAP canister and use the smoke machine to test for leaks. Since the fuel cap has been replaced, the fuel storage tank should be leak free, barring any unusual circumstances. 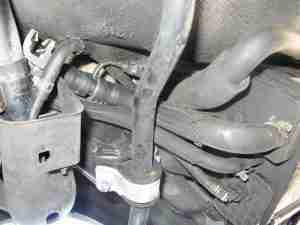 If the fuel tank has been recently removed, obviously you would want to test the fuel sending unit seal and filler hose connections as well. Repair leaks wherever they are encountered. Some model designs will require that the entire EVAP harness (of lines/hoses) be replaced as a unit. Contact your local dealer or OEM parts supplier for details. My car has checking light.